Stepping into Nanjing Impressions at Plaza Singapura is like walking into a filming studio set in the olden days of China - Luminous lanterns hanging from the rafters, lacquered tables and wooden furnishings, servers in traditional Chinese costumes. 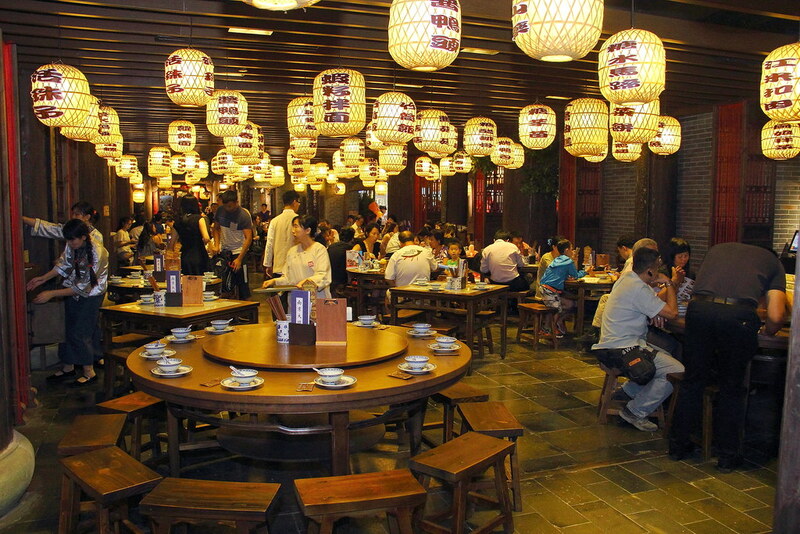 Also known as the Heavenly Kitchen of China, Nanjing Impressions sets to preserve and expand the culinary heritage of Nanjing. Till date, it has about 40 outlets across China, with Singapore being their first outpost. I have really fond memories of Chinese fine dining which I have had the privilege to experience a few years ago during my business trips to China. One dish that really sticks was their sweet stuffed lotus root. You could have it as a cold dish or as a dessert. 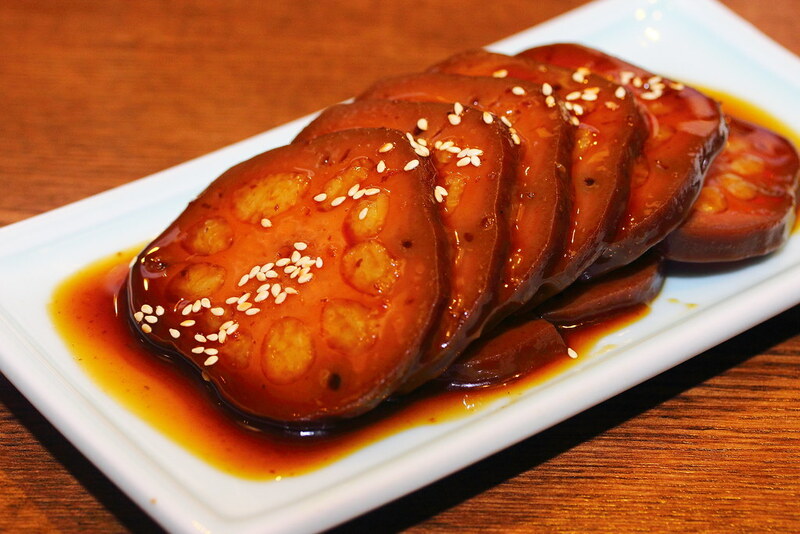 Their Honey-glazed Stuffed Lotus Root ($12.80 per portion) is one of the best I ever had. Stuffed with glutinous rice and slow-cooked in pear-honey syrup, it attains a stickier and chewier texture than any other I have tried. For those that is curious, it tastes like of our Nian Gao. It's no wonder that their version has been recognised with a Chinese Heritage Traditional Snacks award. 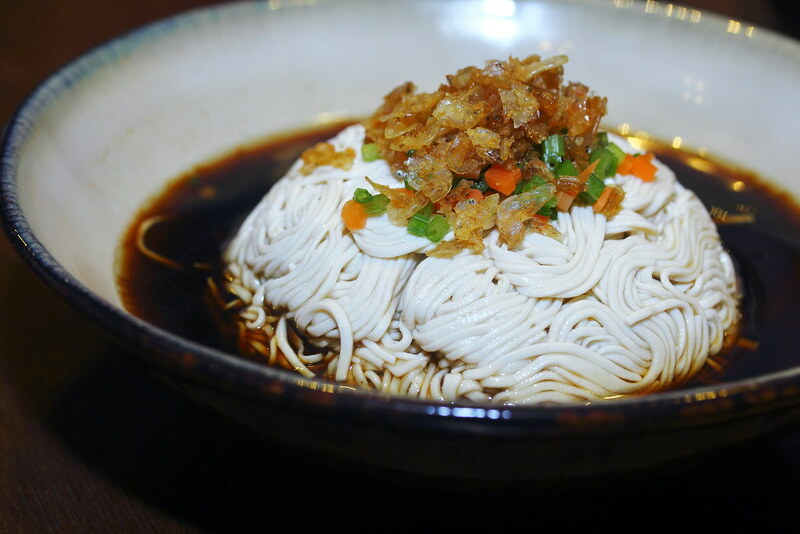 Many may mistaken Sesame-scented Beancurd Julienne ($11.80 per portion) as a noodles dish, when the strips of 'noodles' are actually dried beancurd skilfully shredded by the chef, dressed with special sauce. It's amazing how I could pick the strands of beancurd up with my chopsticks. 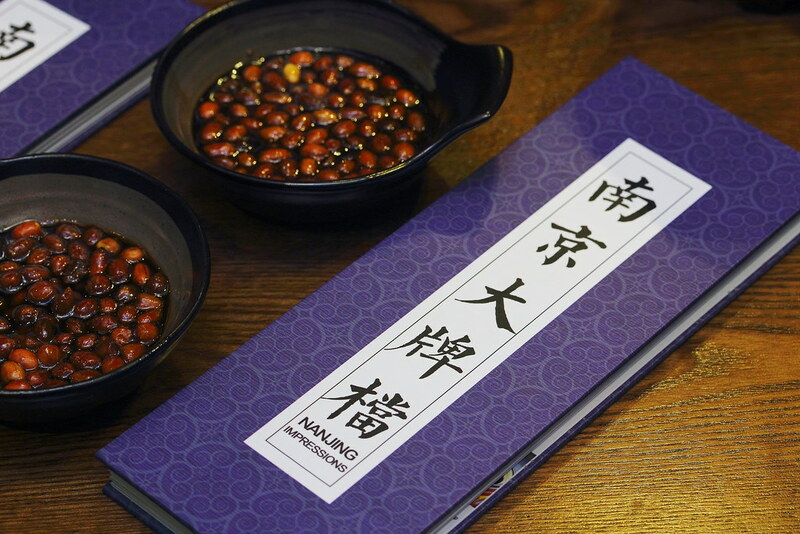 Another must try refreshing cold dish is their Nanjing Chilled Vegetarian Delights. 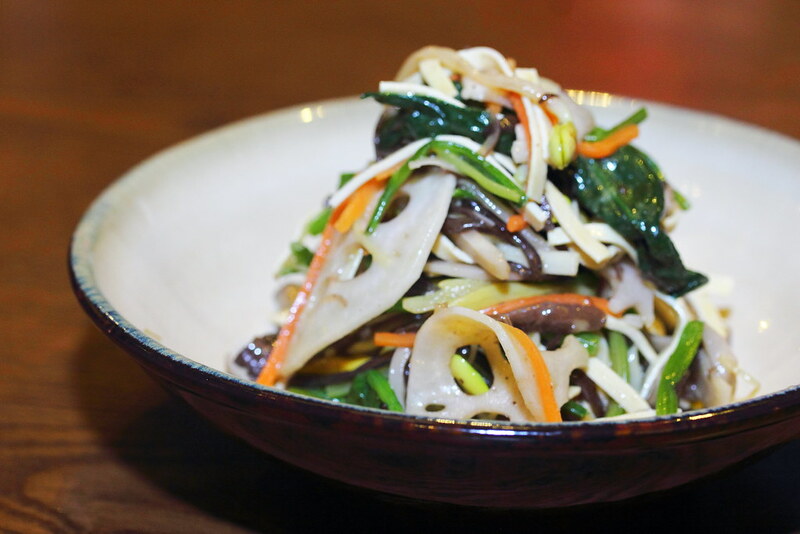 Traditionally served during Chinese New Year for every Nanjinger, it consists of 10 assorted shredded vegetables, symbolising 十全十美. Crunchy texture, lightly salted and seasoned yet appetising. 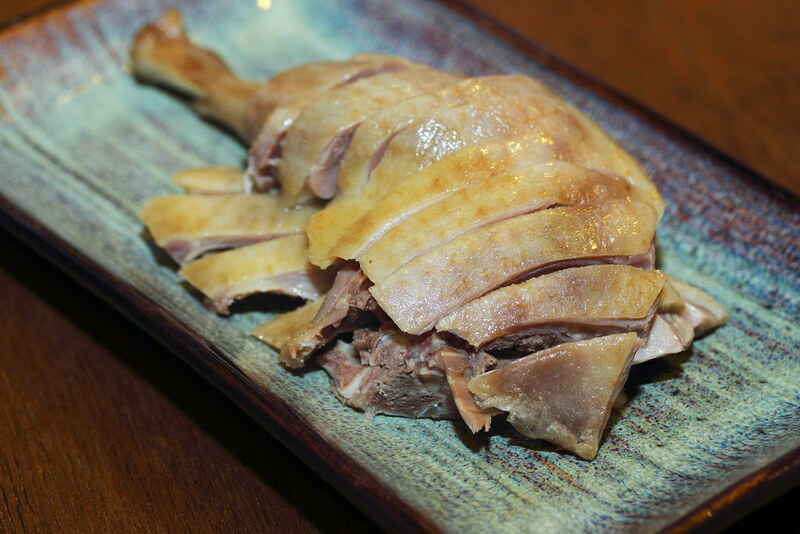 Jinling Signature Salted Duck ($16.80/small; $32/medium; $62/big) is a dish that dates as far back as 1400 years ago during the Southern Dynasty which the ancients named Nanjing as Jinling. There were many recipes developed among the Nanjing Chefs who cooked ducks, of which the uniquely seasoned and brined duck has been nominated to be the best representation of the 'flavors of Six Dynasties'. Before the dish arrives on your table, it has undergone a 10-step process of seasoning, a spiced brine, hanging, drying and back seasoning in the brine pot. The best way to savour this delicacy is pairing it with the mellow sweetness of their brewed Chinese wines. 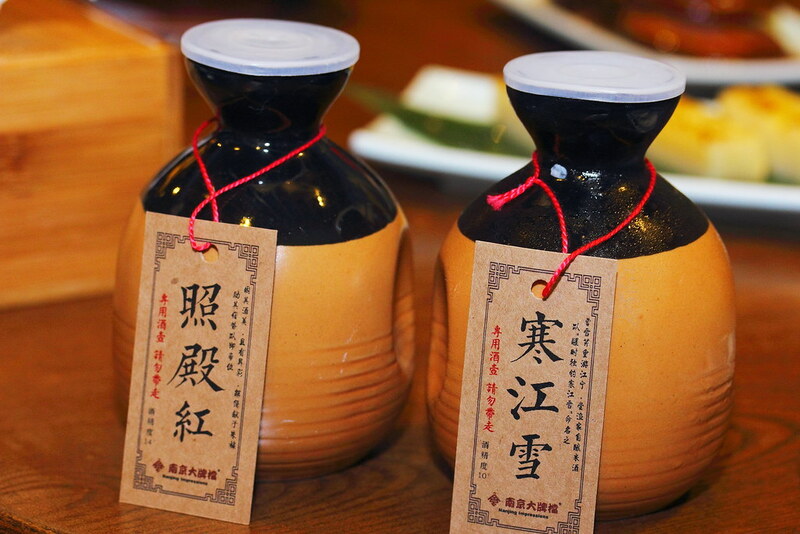 Summer Yellow Wine with Red Dates ($18.80 per 250ml pot) and Winter Rice Wine ($18.80 per 250ml pot). Perhaps, for the first time, you could drink like a ancient swordsman! 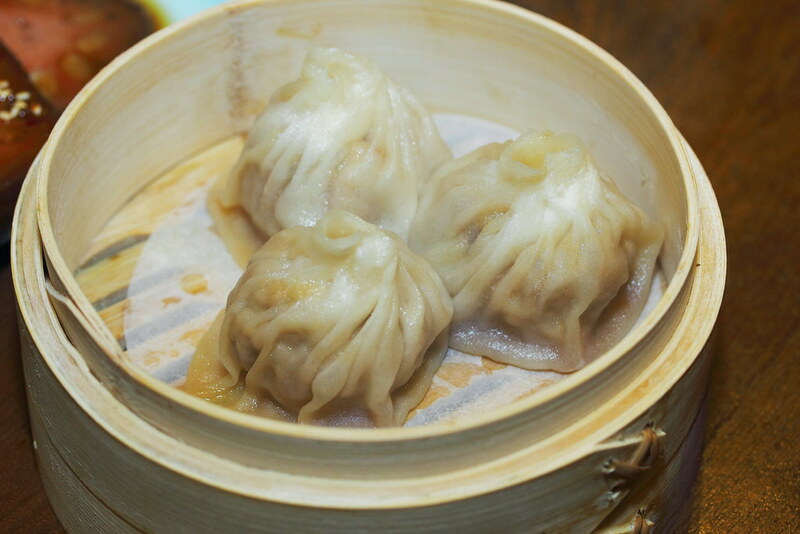 Take a break from Xiao Long Bao and switch to their Celestial Roast Duck Dumplings ($6.80/ 3pcs). They weren't gamey at all and were pretty juicy. Though we weren't served the vinegar and ginger, I believe you could ask for it. Another popular Jinling Snack is the Poached “Lion’s Head” Meatball ($13.80 per portion). The soup is light with meaty sweetness. Diced by hand to distribute the fat and lean meat evenly, the giant meatball was then steamed for six hours. It was so tender that it fell apart easily and readily in my mouth. A delicate texture and flavour that I didn't expect from a Chinese meatball. 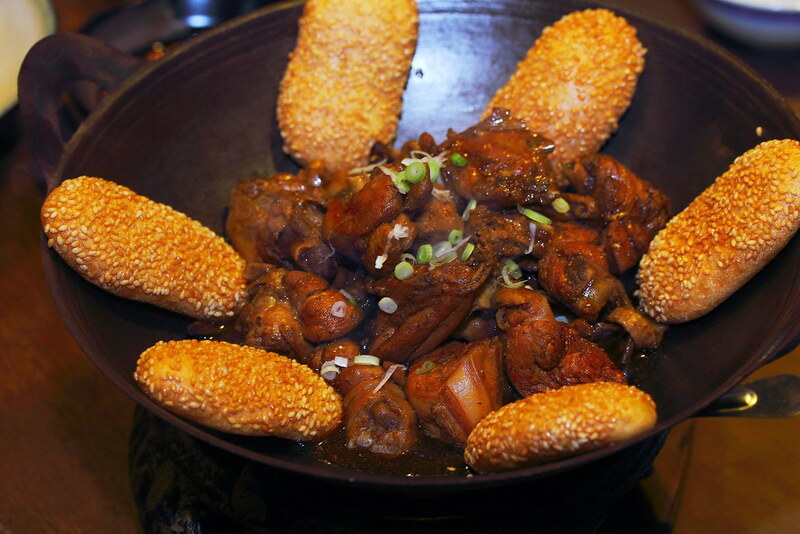 For mains, we tried Baby Rooster Stew with Special Sauce served with Crispy Sesame Bun ($23.80 per portion). It tastes similar to our local Chinese 3-cup chicken, a safe choice for first time diners. Osmanthus-scented Steamed Sponge ($4.80/3pc) is a lady's favourite. 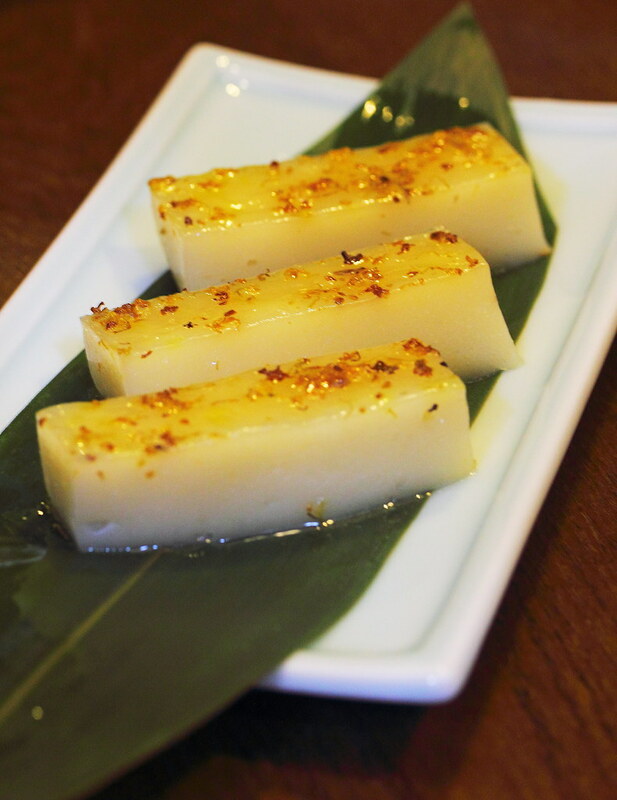 It has a texture of nian gao, slightly sweeten and beautifully scented with osmanthus. I would love to have it with a pot of good Chinese Tea. One thing I learn about authentic Chinese cuisine is that I cannot walk into a restaurant and expect the usual taste of our local Chinese food. 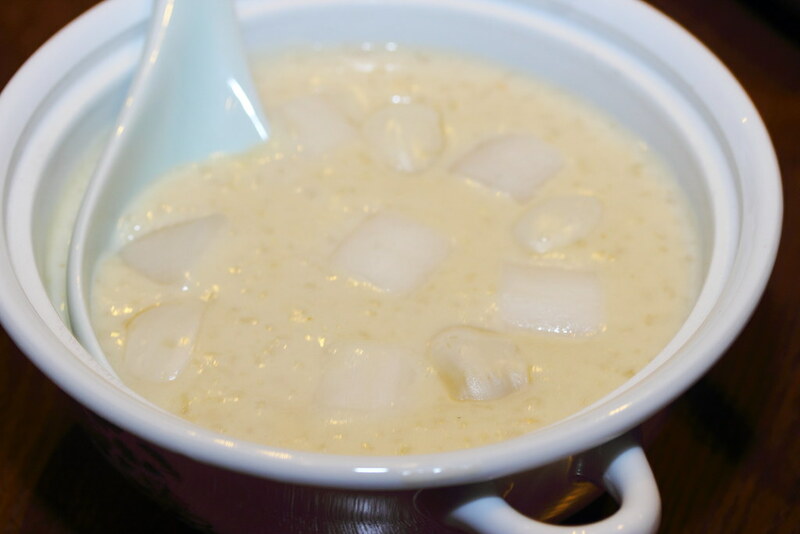 One good example is their sweet stuffed lotus, another would be the Madam Chiang’s Nutritious Beauty Porridge ($6.80 per portion) which is sweet. Cooked with sweet soy milk, lily bulbs and Chinese yam, it was kind of disconcerting at first but it completed my meal as a dessert. With Nanjing Impressions, I get to once again enjoy Chinese fine dining style and delicate cuisine at a pretty affordable prices, without having to travel all the way to China. Come here with an open mind and appreciate the dishes prepared with masterful knife works and culinary skills.